If you spend any amount of time reading this blog, you know how much I enjoy books, music, movies, etc. For my fellow pop culture enthusiasts, I thought I’d start a monthly review of some of the best things I’m reading / watching / listening to. 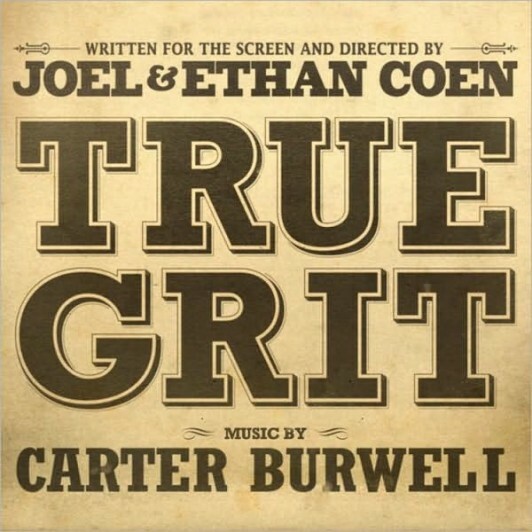 Carter Burwell's stellar score to the Coen Bros. "True Grit"
My Dad had a copy of the original True Grit film on an old VHS tape. It was one of the “Thou Shalt Not Record Over” tapes. And while he probably would still prefer John Wayne to Jeff Bridges (and VHS to DVD, for that matter), I think the Coen brothers have outdone themselves with this one. Not only is the script flawless and the casting superb; Carter Burwell’s stirring score — borrowing heavily from classic 19th century American hymns like “Leaning on the Everlasting Arms” and “What A Friend We Have In Jesus” — simply puts the film over the top. I’ve had the soundtrack on constant repeat since I saw the movie a few weeks ago. Burwell says these are the songs Mattie, the film’s protagonist, would’ve listened to “if she had time for such frivolity.” If you enjoyed the film, you’ll love the soundtrack. On the way back from South Africa, Sunny and I saw more movies than we’ve seen in months. Most of them were forgettable (The Expendables; Grown Ups), but we were finally able to see the movie everyone’s been talking about: The Social Network or, less officially, “The Facebook Movie”. I didn’t really have any expectations going into it; most movies that are buzzed about like this one was fail to live up the hype, in my opinion. But this movie was fascinating. In case you’ve been living under a rock, there’s this thing called Facebook. It’s huge. This is the story of how it all came about. I think it’s probably a fairly spot-on commentary of the impact of the virtual online world upon our youngest generations. I see this with my kids; whether it’s a laptop or a television screen or a smart phone, reality is mediated to them through a screen. But like the depiction of Mark Zuckerberg in the film, we’re all innately wired to seek meaning and fulfillment in “real” flesh and blood relationships. Social media is at its best when it supplements, rather than replaces, quality human interaction. Whether it wins Best Picture is anybody’s guess at this point. But I suspect this will go down as one of the more important films of the decade. Rightfully so. I love anything Scot McKnight writes. His book The Jesus Creed is one of the rare books that I actually want to re-read as soon as I finish it. (I think I’m on my third reading right now.) 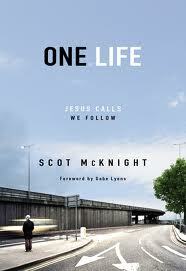 McKnight’s latest is entitled One.Life and the premise is simple: what does it look like to really follow Jesus? McKnight’s answers to that question continue to challenge me, but he renews for his readers a deep awareness of the radical nature of the call of Christ. McKnight takes some of our more well-worn terms — Kingdom, peace, love, forgiveness — and dusts them off, shaking off the cobwebs of neglect and the rust of misuse, before returning them to us again fresh with meaning and import for discipleship. The best thing I can say about this book is that it made me want to follow Jesus even more fully than before. A must read, in my opinion. This entry was posted in Books, Discipleship, Jesus, Movies, Music, The Jesus Creed and tagged Scot McKnight, The Social Network, True Grit. Bookmark the permalink. Thanks! Glad you like the new look! I agree True Grit was incredible. I caught on to the music about 5 minutes in and everytime they played something, I almost got distracted from the actual movie to figure out which hymn they were playing. But yeah, funny, fascinating, thoroughly entertaining movie. The girl playing Mattie was great. Bridges was solid (when I could understand him). I even thought Brolin was good as the whiny villain. The only casting decision I didn’t like was Matt Damon as the Texas Ranger. He was decent, but he just seemed to nice to play that role. They should have gotten someone meaner like Josh Holloway or something. I wasn’t that excited about the Social Network until I found out Aaron Sorkin wrote it. I was a big West Wing fan back in the day, so then I was intrigued. It was such a well written and entertaining movie. I don’t know what percentage of the movie is true, but it almost makes me not want to use facebook, because Zuckerberg is such a jerk (key word: almost). I thought the guy who played his friend suing him was really good and the twins were hilarious, and even JT was good as Sean Parker. Damon grew on me as the film went on. By the end, I could see why he was a good choice. But I agree with you…he doesn’t have the rough edges the character needs to embody in the first act of the film. The Facebook movie was just great. Not only from a technical point of view — like you mentioned, the casting was brilliant — but even the “message” was a powerful one. I’d like to see it again. Loved the movie reviews! I totally agree with the awesomeness of The Social Network. Emma wrote an article about it for the Kingsport Times News teen page (she’s a regular writer for the page for 3 years. I am attaching it since I think you would enjoy reading it. Every once in a long while, there comes a movie that does everything right. And I mean everything, from superb acting to clever writing and masterful direction. In my humble opinion, The Social Network is one such film. The Social Network is the story of the founding of social networking giant Facebook, and the controversy and betrayal that greeted its beginnings. The film flows from scene to scene with fluidity and pacing all its own. Aaron Sorkin’s writing makes dialogue sparkle with wit and wry acidity. A prime example of this is the opening scene, where Rooney Mara and Jesse Eisenburg engage in a verbal battle so intense and quick to make one’s head spin. But even superb writing by Aaron Sorkin and direction by David Fischer would be dull without the actors that bring these things to life. Jesse Eisenburg is a master of restraint, portraying the obnoxiously clever Mark Zuckerburg as the creator of an instrument of social connection that cannot make meaningful connections in his own life. Andrew Garfield (my current favorite actor) plays the role of Eduardo Saverin, Mark’s best friend and Facebook co-founder who gets screwed in the business of Facebook by his so-called best friend and Justin Timberlake’s character, Sean Parker. Armie Hammer, Brenda Song, and Rashida Jones all give strong supporting performances. Mark Zuckerburg as Eisenburg portrays him as arrogant but earnest, completely blinded to anything else but his own ambition and success. He is unashamedly sure of himself, and believes wholeheartedly that the success he has built for himself gives him that right. Garfield’s Eduardo is supportive of Mark, both financially and as his one and only friend, but grows increasingly disenchanted with the direction the company is going, and the dangerous influence that is Sean Parker. Eisenburg’s performance may seem unemotional at first glance, but the subtle cracks in the stolid armor of Mark’s character reveal the true extent of his initial desperation for recognition, and, later, his regret at losing his only friend and consequently being sued by him. Andrew Garfield has a greater emotional spectrum to portray, and his shades of betrayal and naïveté are acted to perfection. As I sat in the theatre and watched this wonderful movie (twice, and counting), one question echoed through my head- How does Mark Zuckerburg feel about this? When he watches this movie (as I’m sure he has), does he regret the actions that are being played by strangers across the screen? The Social Network is a story of monumental success, but without the drama of Mark’s betrayal of Eduardo, the story would not be the real-life revelation it is today. Being the creator of a worldwide sensation, and consequently the youngest billionaire in the world, certainly has its benefits, but if this movie is anything to go on, it can also alienate the friends once considered close. In the final scene of the film, Mark Zuckerburg sits alone after a meeting with his own legal counsel and that of Eduardo Saverin’s. He sends a friend request to a girl who rejected him in his pre-fame days. As he refreshes the screen over and over, the audience is struck with a muted feeling of both triumph and loss. We wonder as Mark does, was it worth it? Is fame worth the conniving and maneuvering it takes to achieve it? Even at the conclusion of the film, neither Mark nor the audience can answer that question. That’s a great review, Angie. Tell Emma she did a great job! I know you guys are proud of her. I haven’t seen all of the Best Picture nominees now that they’ve increased the field to include 10 films, but I think “The Social Network” is the most important film to be released this year. Years from now nobody will be talking about “The Kings Speech” or “Black Swan”. But they’ll remember “The Social Network”. It’s really a great film.